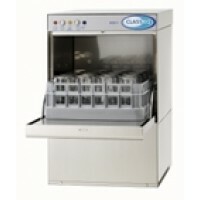 The Classeq Eco 3 is high volume glasswasher with built in chemical dispensers. Single piece wa.. Lease Purchase from £8.88+vat per week over 3 years The 500x500m basket double skinned..